Rory McIlroy celebrated St Patrick's Day in style with victory in the prestigious Players Championship after a thrilling final round at Sawgrass. Furyk set the clubhouse target after a 67 that included two birdies in the last three holes, the 48-year-old - who is less than a month older than 2005 champion Fred Funk - hitting a brilliant approach to just three feet at the last. On his tournament debut, England's Eddie Pepperell shared third place with Venezuela's Jhonattan Vegas on 14 under, both players holing improbable birdie putts on the 17th in matching rounds of 66. England's Tommy Fleetwood, who began the day in joint second with McIlroy, gave himself an outside chance of forcing a play-off with his Ryder Cup team-mate with an eagle on the 16th, only to promptly hit his tee shot on the 17th into the water. 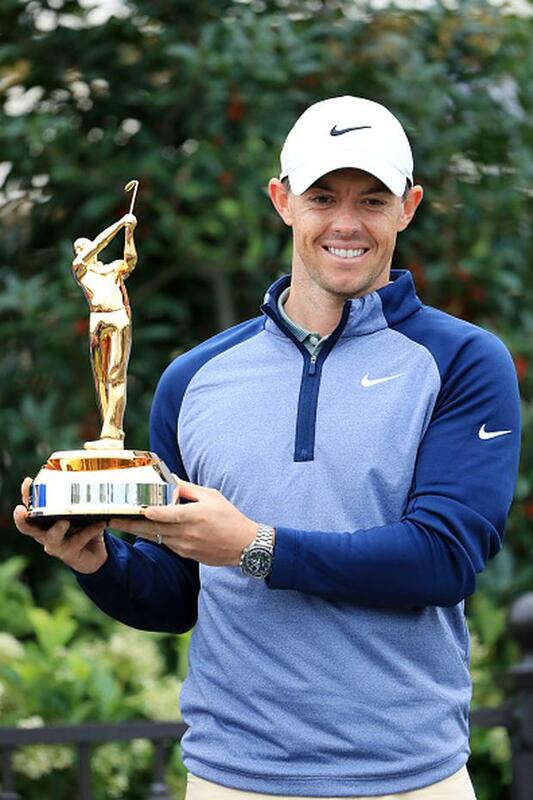 McIlroy told Sky Sports: "It's very special. I just tried to treat it like any other day. Even though I've had all those close calls this year they didn't mean anything. The 29-year-old added: "If I hadn't have won today I would have said I don't need a win going into Augusta, but it's very nice to get a win, especially doing it on this golf course, honestly a golf course that played a little bit similar to the way Augusta will play in a few weeks' time. "I actually thought it was going to miss low until right at the end and I was pretty excited," Pepperell said. "I said to Mick (Doran, his caddie), that may be the highlight of my career - I hope I don't peak too early. "Honestly I felt like I swung the club terrible today. I kept hitting it right with my 3-wood, which is the club I bank on and I was useless with that. "My irons I was hitting pretty well and the last six holes around the greens I was on fire - I felt like Seve (Ballesteros) out there to be fair." "It's right on track," Woods said. "I'm able to shape the ball both ways, which I'm going to need there. I just need a few more putts to go in, but that's it." Brian Keogh Ian Poulter is the latest big star to commit to what promises to be a sellout Dubai Duty Free Irish Open at Lahinch from July 4-7. Leona Maguire will make her professional Major debut in the KPMG Women's PGA Championship in June but she's got other Major dates in her sights.